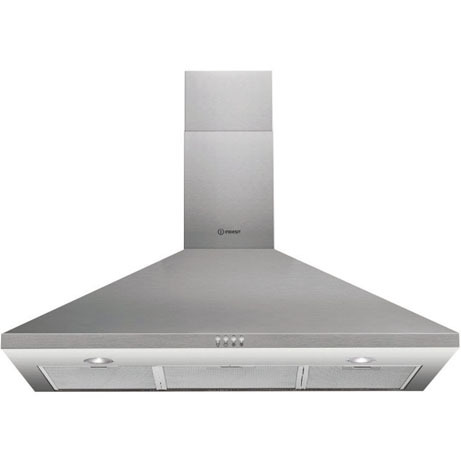 This Indesit 90cm Chimney Hood in stainless steel is sleek in design and will fit seamlessly into any kitchen. Featuring three speeds of extraction, tackle every level of unwanted odour efficiently with aluminium filters to catch grease and odours. Together with two halogen lights that provide excellent visibility of your food, this Indesit Hood helps you to achieve great results at every mealtime. 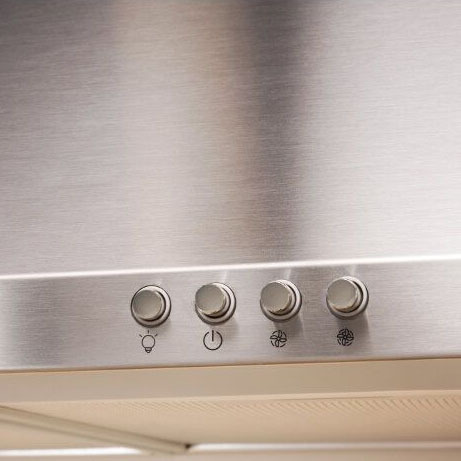 A complete package of style, this Indesit Hood chimney design provides a smart, practical addition to your kitchen. 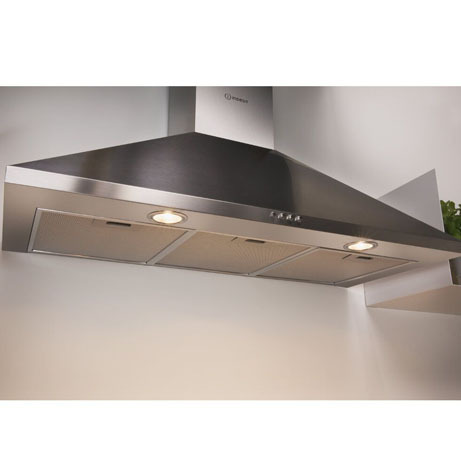 Keep your kitchen smoke and smell-free no matter what you’re cooking with this Indesit Chimney Cooker Hood, which extracts air rather than recirculating it for a more thorough filtration system. Plus, you can vary how powerful you want your cooker hood to extract with the three speed settings available. 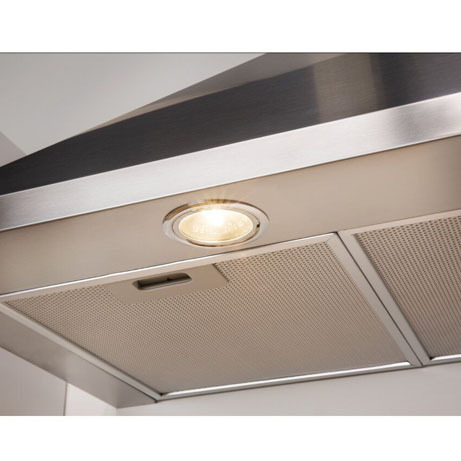 Add soft, atmospheric lighting to your kitchen with the two 20 W halogen lights under the cooker hood which will also perfectly illuminate your oven for clear and safe cooking.